Holiday Happenings for the Homeless and Near-Homeless! Everyone deserves a special celebration during the season of giving and hope. Throughout the month, staff is assisting community members in “adopting” clients. Several families have been assisted with acquisition of basic needs, rental assistance, utilities, transportation, furniture, clothing, and Christmas presents for their children. It has been wonderful to see the positive response from the community and the gratitude of those being helped. On Thursday December 19th at 11:30 AM, Matt Talbot will host its annual Holiday Fiesta Celebration. All are welcome to attend and join in the fun. La Paz Mexican Restaurant will again donate a traditional Mexican feast. Sweet Treats will be provided as well. The Kitchen is decorated with an eclectic mix of traditional Christmas fare as well as a Mexican theme. The Fiesta has become a favorite holiday tradition at Matt Talbot Kitchen & Outreach. Lunch will be served from 11:30-1:00 PM. On Monday December 23rd from 1-2 PM children are invited to come and decorate sugar cookies to take home for Christmas. All supplies will be provided. All children are welcome! 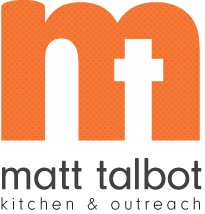 In addition, Matt Talbot will keep its regular meal schedule with special meals planned for the areas needy for Christmas Eve and Christmas Day lunch and dinner. Lunch will be served from 11:30-12:30 and supper from 5:30-6:30 PM both days. We are blessed to have plenty of volunteers to cover all holiday meals. Thank you!